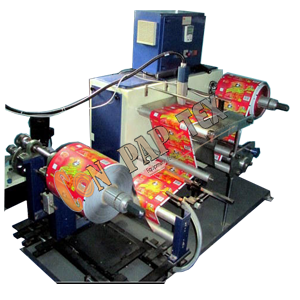 We are an exporter of the Batch Printing Machine, especially for industrial use like, pharmaceutical & other packaging industries to print Batch No., also, Mfg. Date., Exp. Date., Retail Price and much more on their Labels, Cartons, Polypack Bags, Pouches, tin Bottoms, Cotton Bags. Doctoring Rewinding Machine for Batch Printing Machine.